Our team launched a new cloud-based service not so long ago. So we think it’s time to publish a comprehensive manual for Elfsight Apps. After you registered and got $5 bonus, there are just a few steps to complete. Our article will uncover all of them. There is nothing difficult, believe us. 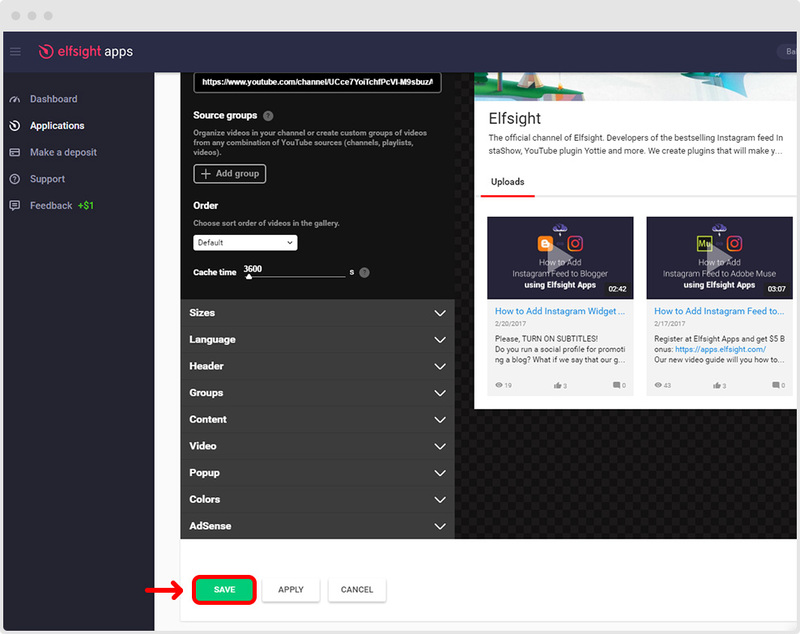 We’ve prepared a tutorial on our YouTube channel so that you can view how Elfsight Apps performs in reality. Please, turn on subtitles as they will help you understand better this video! Moreover, if you’d like to get more detailed instructions, scroll the page. All tabs and features are also shown below. Contains the complete information about your installs and transactions. It shows what apps you use, where they are installed and total daily fee. Moreover, our service calculates how many days left before you spend the current balance. Thus, it’s very easy to control your charges. In case your balance is almost in the red, click “Make Deposit” and you will be redirected to the appropriate section. Here you will find the library of all Elfsight applications available at the moment. 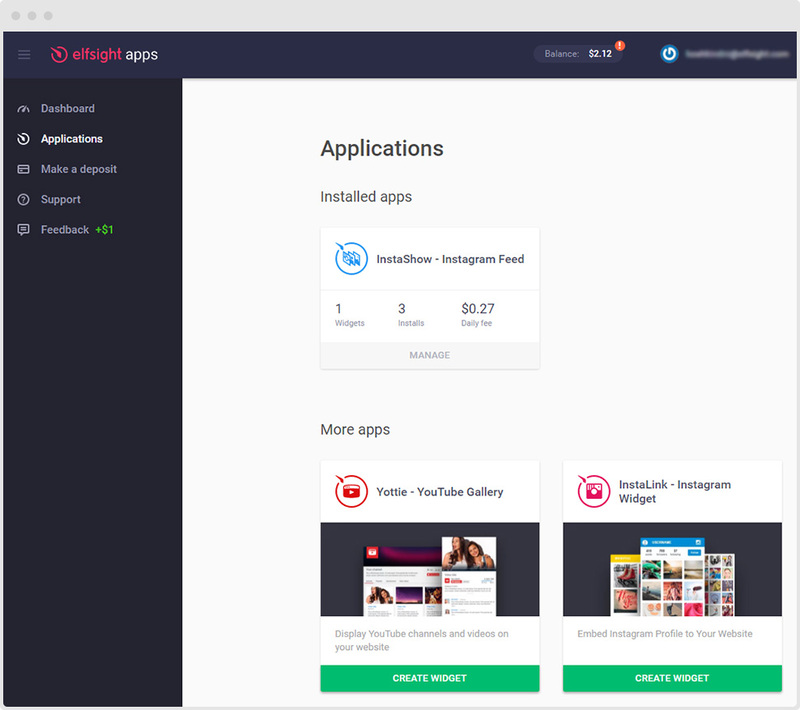 Check any product, create your widget and finally manage installed apps in one place. This section also shows what daily expenses for each product you have, how many widgets and sites you set up. You can make a deposit from this page with the help of a PayPal account. 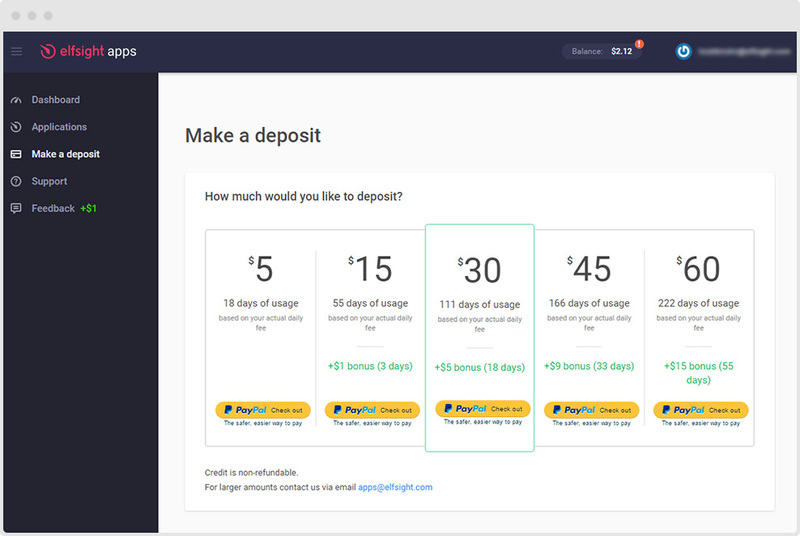 Choose the preferred deposit – our service will show how many days of usage you get based on your actual daily fee. There is a surprise for our users! Almost all deposits will present you additional Elfsight credits (up to 25% of your funds). Their durations are also limited depending on the amount of your deposit. By registering you will get a $5 bonus. It’s duration is 14 days. Even if you haven’t yet make a deposit and your bonus expires, all your widgets will stay in Elfsight admin panel. Renew your balance anytime and widgets will continue working for you. In case you need help, this page will come in handy. You will find terms and contacts for the fastest and most effective support from our team. We’d like to provide you with the best service there is. And we can’t manage it without your help. Participate in our survey so that we can know what you like and what should be changed. We love giving presents. 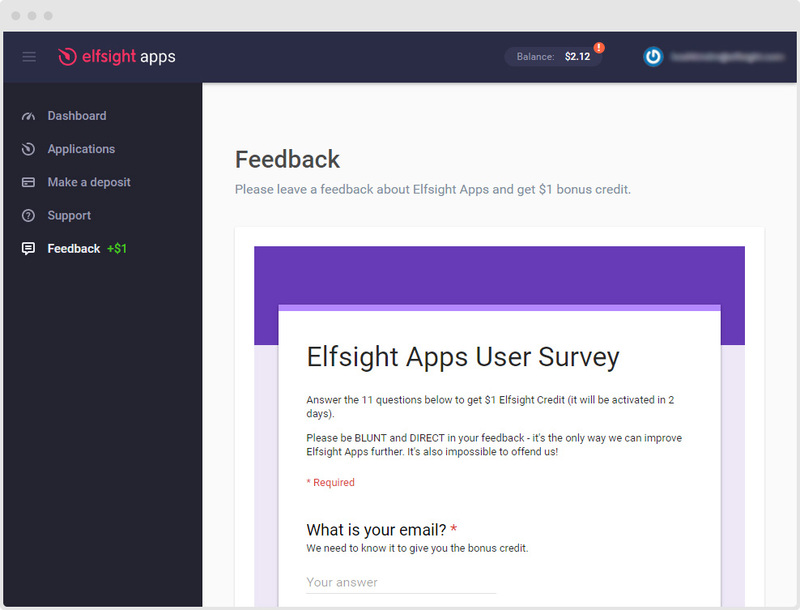 That’s why after completing the form, you will get a pleasant bonus – $1 Elfsight credits. Moreover, pay attention to the header in your admin panel. There you will find the current balance. Click it in order to make a deposit. You can also edit your profile by tapping on your email. 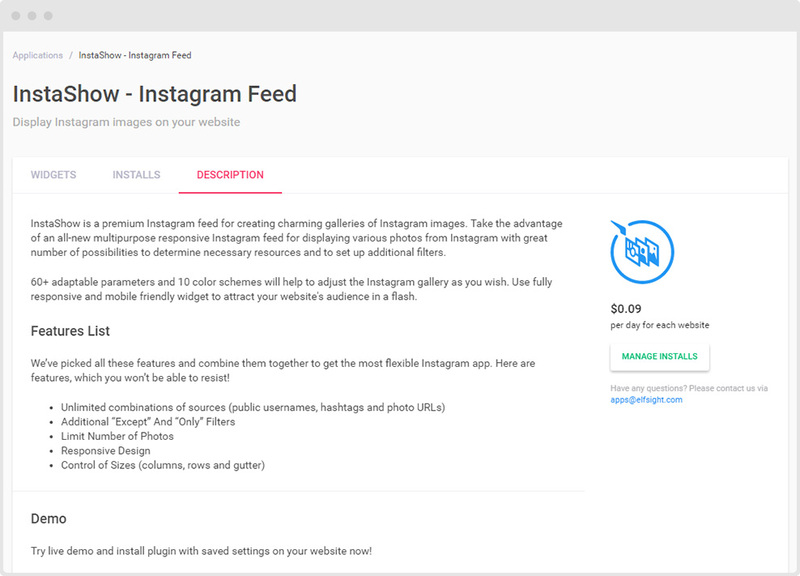 Instagram feed that adds eye-catching photo galleries and engages your audience. YouTube channel plugin for showing numerous videos from any channel and playlist. 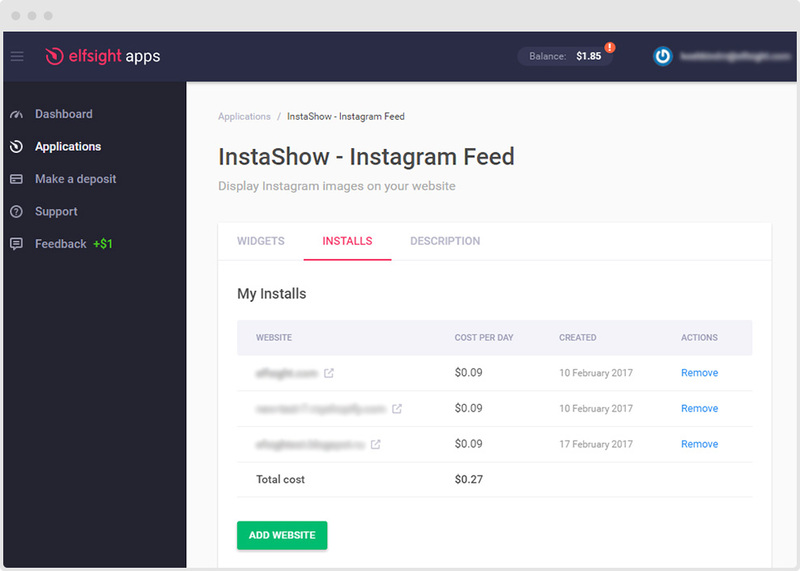 Instagram widget that is able to promote your social profile on a website. Have you chosen the widget? Now you can customize it as you want. All our apps are responsive and flexible so you will be able to select parameters that meet your requirements. Apply adjustments by clicking “Save” button. Great! The one more part is to enter your website’s domain so as to use the application. Set the URL and you will get a code that is a key point for installing it on your site. After that a new pop-up window will appear. There you can find an HTML code that can be used on the website stated in the previous step. Just find “Click to Copy” button, copy the code and proceed to your site. By the way, we offer you a free installation service in case you face some issue during installation. By the way, if you’d like to learn more about any product before its installation then press on a logo or preview picture. There you will find a detailed description and online demo to check all features before installing Elfsight product. After you installed the app, you are still in charge of all staff in your admin panel. Go to “Application” section. There you are able to manage your widgets. Choose the proper app and press “Manage”. All unique widgets that you created. 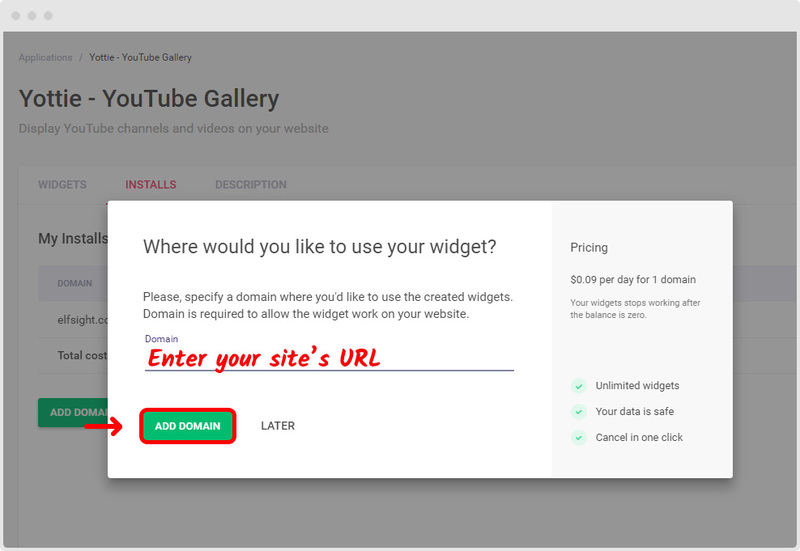 Please, note that you can use as many unique widgets for one site as you want without an increase in your daily fee. The fee depends only on the number of domains and apps you use. If you need the installation code for one of your existing widgets, just click “Get Code”. A pop-up window will appear with the needed element. 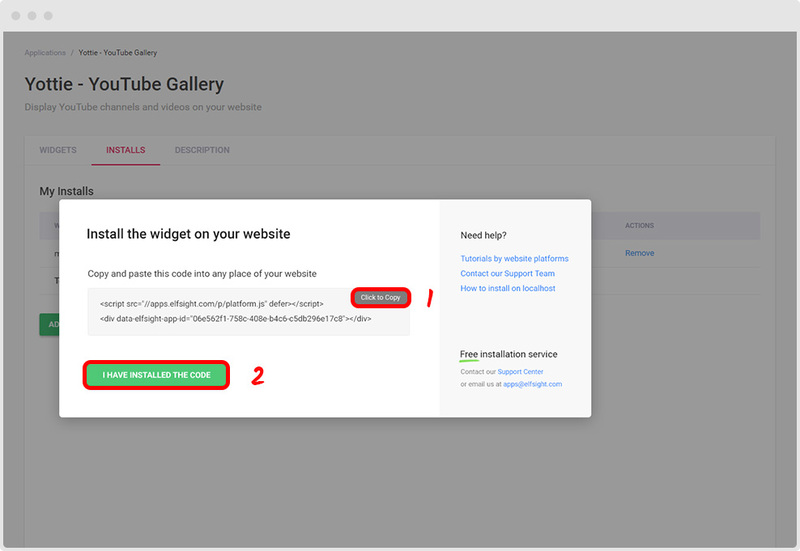 You have also three actions for each widget: Edit (in this case, all changes will be automatically applied to the widget on your site), Duplicate and Remove. This tab shows on what sites the chosen plugin is functioning. 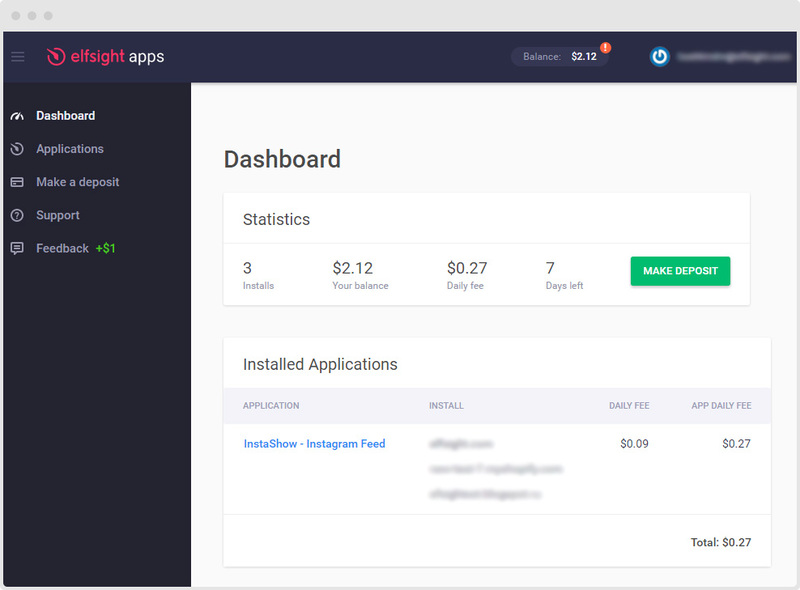 If you have several websites that contains one of Elfsight apps, you will be charged for each website. Yep, you can add more sites if it’s needed. Press “Add Website” and set new URL. You can easily remove any site from the installs list. By doing so, the daily fee will be immediately recalculated. Check out online demo how potential changes would affect the existing widget. There you go! 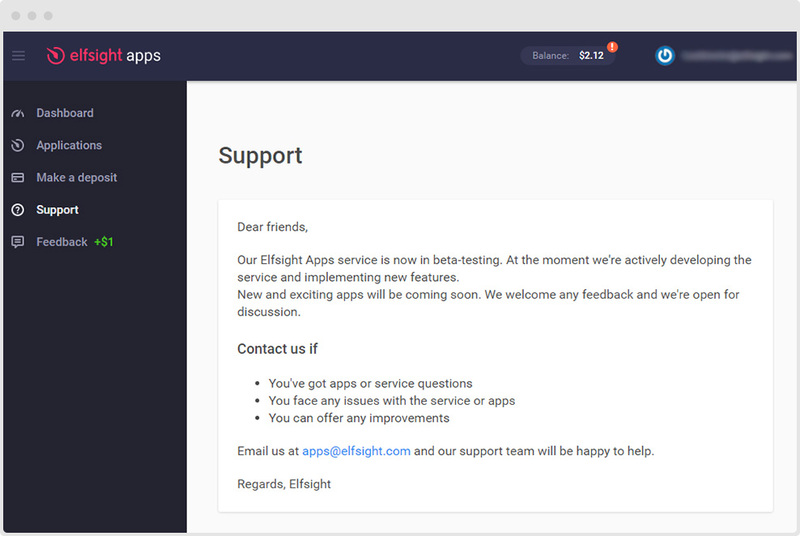 Now you know every aspect of Elfsight Apps service. All solutions are fully functional and ready for a tough work. 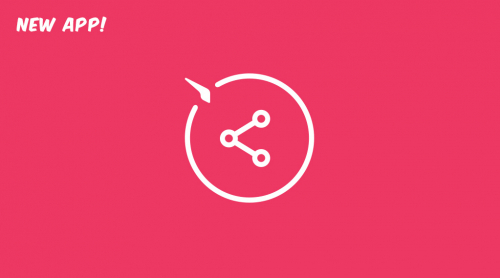 Create entertaining widgets and make your website more powerful. 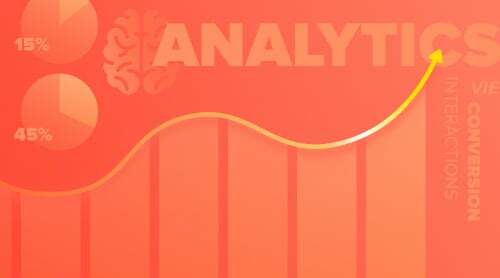 Register and Get $5 Bonus! If you face any difficulties while using our service then our Help Center is here to help you! We update constantly how-to articles and videos so that you can easily install apps on any site and platform.